After getting a second ticket for my canister muffler, Ive started seriously looking for a better option to weld on. I have been looking at Jones full boar mufflers which are 2.25'' to match my piping. I have read good reviews from people who have trucks and mustangs, but has anyone here put one on a honda? how do they sound compared to canister style? Links for the people being lazy? I will probably be selling my exhaust (Apexi WS2) within the next 6 months to upgrade to a 2.5" piping set-up instead of the 2.25" the Apexi exhaust system comes with if you are interested by any chance. like this one, but there is a 2.25'' one on ebay. 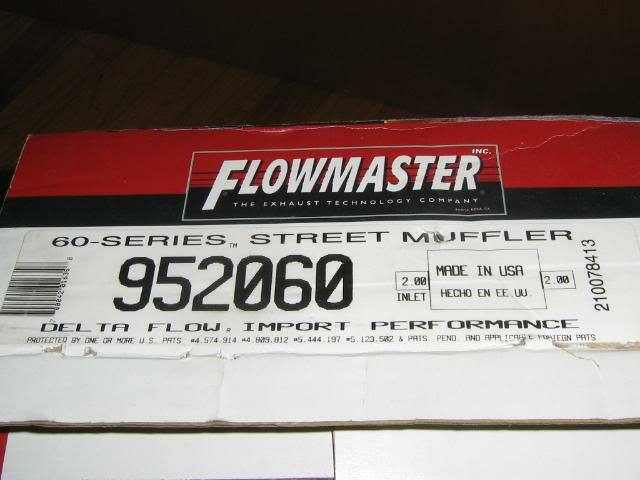 Im only looking for only a new muffler really, and preferably about 50. what would you be asking for just the axleback shipped? I dunno, something like $150 plus a little something for shipping. You are in NY, so shipping wouldn't be that bad. I would assume ~$30, but if you can wait and do $175 shipped, that will work for me. I plan on doing a complete exhaust overhaul when it gets a little warmer and once I pay for paint on the car. 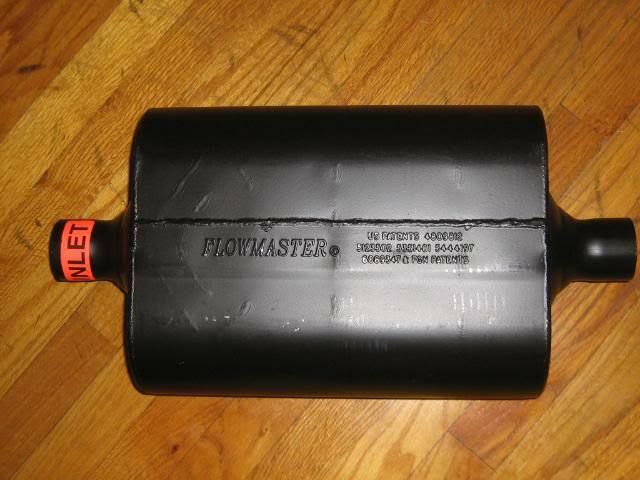 I was hoping I could try and sell you the extra Flowmaster muffler that I've had lying around the house for some time now. However, its 2 in. not 2.25 in. I'm willing to practically give it away though because I just want to get it out of the way. got a pic, and how much would you be asking? If its an axleback that bolts right up, that would be awesome. cvcrcr, I dont wanna say no just yet, because its a good deal, but Im leaning towards just getting a muffler cause im poor and i just put 300 into my car before christmas. Last edited by MaximusFunk; 01-07-2011 at 10:30 AM. Roughly figured out, UPS Ground would cost $12.97 and I'd like to get about $50 for the muffler. I'd be willing to call it an even $60 shipped. there is a good chance i'll take you up on that, just need to work out some mounting issues and i'll let you know. did you ever use it? would you do 50 even? Nope, never used it and I bought it brand new. Its center in/out and my Civic takes center/offset (can't remember if in or out is offset). Instead of paying to ship it back to where I bought it from and paying a 20% restocking fee, I decided to buy the correct muffler for my Civic and try and sell this one. I haven't had any takers and its been sitting in my room for the past year and a half or so and I want it gone. I'm taking a loss either way so $50 will take it. my car takes same offset as yours, but im assuming since my canister muffler is center in center out, that if I use the same piping, it will line up, but be slightly slanted. any idea if they make muffler tips that you can mount angled right or left so that i could make up for the muffler slant from no offset? Quick Reply: Jones full boar muffler?